Remember these guys? The overly popular, little furry robots of the late 90s are set for an Autumn/Fall 2012 return, Hasbro announced earlier today. The original line, released in the 1998-2001 period, saw over 40 million units sold before kids interest quickly darted to the next faze at the time. The new 2012 reboot isn't hugely different to the original although one of the main new features is twin brightly-lit LED eye screens with mechanical eyelids animate with a variety of different expressions and even quirky pictures. 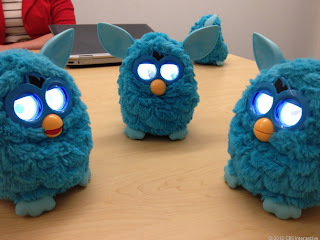 Hasbro have also revealed that there will be a companion app released for iOS devices, which will allow users to control their Furbies via different on screen commands. The app itself works by playing different soundbytes that the Furbies are programmed to respond to. 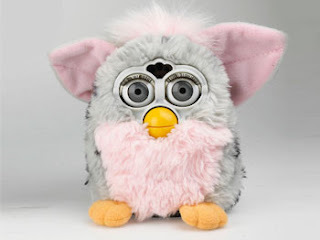 The new breed of updated Furbies will retail this Autumn for $60 Stateside, there is currently no word on a UK retail price or release date. your fiscal concerns inside a desired particular time period. 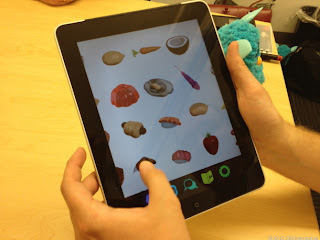 Thinking of time limitations these loans are specifically created above an obligation cost-free platform. Concerns such as defaults, arrears, bankruptcy, CCJs and even IVAs are not viewed as here. There is minimal paper function required on the element of borrower. faxing essential here. Applying for these loans is also highly practical. Just want to say your article is as astounding. The clarity in your post is just excellent and i can assume you are an expert on this subject.